After the completion of Basic Military Training, but before Airmen depart for their various technical training locations, lies a relatively new, yet crucial program geared toward the betterment of the Air Force: Airmen’s Week. As the program nears its second anniversary, the Airmen’s Week team reflected on the changes witnessed and the future they strive for. 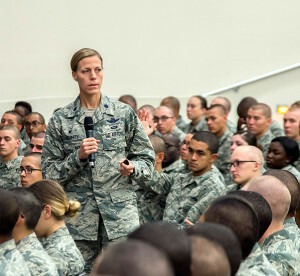 Doherty said a graduated class of 700-850 new Airmen are broken down into small groups of 16 and are taught how to apply these foundational principles to real-world situations. At the same time, Airmen’s Week has the benefit of having an adaptable curriculum. 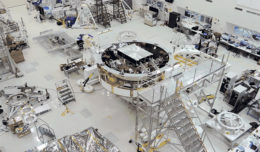 “Through a process that involves the Profession of Arms Center of Excellence program manager, the Airmen’s Week contractor team and 737th Training Group and 326 TRS senior leaders, we can quickly adjust the curriculum to focus on current areas of concern or address trends that are prevalent at technical training or across the Air Force,” Doherty said. But what Doherty said has truly aided the success of this program is the dedication and excellence of the military training instructors who have been selected to facilitate the curriculum. After the selection process, MTIs receive additional training to aid them in their new roles. With each generation of Airmen bringing new change to the dynamics of the force, the staff at Airmen’s Week is prepared to adapt in order to best serve the needs of the Air Force while striving to instill time-tested values.